Put classic Superman up onto your wall! 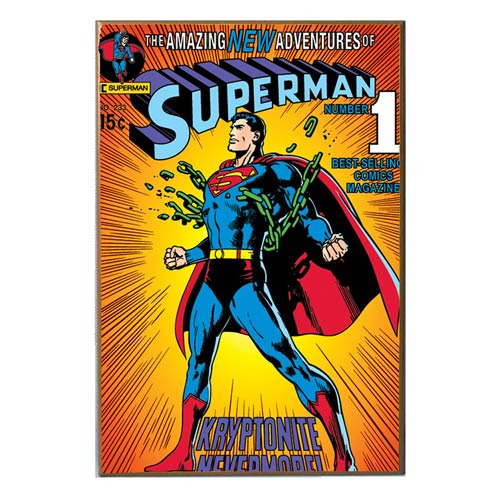 This Superman Breaking Chains Comic Book Cover Wood Wall Artwork shows an image of a classic Superman comic book cover. This great piece of artwork commemorates is a must-have for Superman fans! Measures 19-inches tall x 13-inches wide, ages 14 and up. Note: Product features sawtooth metal hanger on back and comes "ready to hang."